Here is the list of the hotels near Juillac-le-Coq. Book your hotel near Juillac-le-Coq today, Tuesday 14 May for the best price, reservation and cancellation free of charge thanks to our partner Booking.com, leader in on-line hotels reservation. Below here is the list the 50 closest hotels of Juillac-le-Coq, sortable according your criteria. You will find the position of these accommodations on the Juillac-le-Coq hotels map. Offering an outdoor pool and free-use bicycles, L'Ancienne Distillerie was formerly a Cognac distillery and is located in Segonzac. The property is surrounded by vineyards on the edge of a small hamlet. Free WiFi access is provided in these holiday homes. The accommodation will provide you with a flat-screen TV with satellite channels, a seating area and a patio. There is a full kitchen with a microwave, an oven, a refrigerator and a coffee machine. Some holiday homes have a dishwasher. The bathrooms come with a bath or shower and a hairdryer. You can enjoy garden views from the rooms. At L'Ancienne Distillerie you will find a garden, BBQ facilities and a terrace. Other facilities offered at the property include a shared lounge and a games room. An array of activities can be enjoyed on site or in the surroundings, including cycling. The property offers free parking. These holiday homes are 11 km from Cognac Train Station and 115 km from Bordeaux Airport. Le Rosier offers accommodation in Segonzac, 36 km from Saintes and 30 km from Angoulême. Guests benefit from free WiFi and private parking available on site. The kitchen has an oven. Towels and bed linen are featured in this self-catering accommodation. Other facilities at Le Rosier include an outdoor pool. Bike hire is available at the property upon prior request and the area is popular for cycling. Cognac is 14 km from Le Rosier, while Jonzac is 24 km from the property. Featuring free bikes and a seasonal outdoor swimming pool, Joie de Vie features accommodation in Saint-Fort-sur-le-Né with free WiFi and pool views. The bed and breakfast has garden views and is 41 km from Saintes. This bed and breakfast comes with a kitchenette, a seating area, a dining area and a TV. A continental breakfast can be enjoyed at the property. The bed and breakfast offers a barbecue. A garden and a terrace are provided at Joie de Vie. Angoulême is 47 km from the accommodation, while Cognac is 15 km away. The nearest airport is Mérignac Airport, 116 km from the property. Cottage Côte Atlantique 2 is situated in Segonzac and offers water sports facilities, a tennis court and barbecue facilities. Guests are welcome to enjoy the free WiFi. Leading onto a terrace, this villa comes with 1 separate bedroom and a fully equipped kitchen. The villa offers an outdoor pool. Guests can go horse riding or relax in the garden. Saintes is 42 km from Cottage Côte Atlantique 2. Cottage Côte Atlantique 1 is set in Segonzac. Guests benefit from a terrace and an outdoor pool. The villa includes 2 bedrooms, a kitchen with a fridge and a stovetop, as well as a coffee machine. The villa offers a barbecue. Guests at the property can enjoy tennis on site, or horse riding in the surroundings. Saintes is 42 km from Cottage Côte Atlantique 1. Set in a 19th-century mansion, Domaine de Pladuc is a B&B located in Charente. It is surrounded by a park with an outdoor swimming pool and a furnished terrace. Viewing the park or the countryside, Domaine de Pladuc rooms have free WiFi access and a private bathroom with a shower or a bathtub. A shared living room with a piano and a library can also be enjoyed. A continental breakfast is served in the dining room by the fireplace or by the pool. Upon a 24-hour prior request, guests can share a traditional cuisine meal at the owner’s table. Fishing and boat trips are possible on site. Cognac vineyards and wineries can be visited within 19 km. Angoulême Train Station is a 37-minute drive away. Free public parking is available at this B&B. Featuring free WiFi and a seasonal outdoor pool, Le Grillage a Poules offers accommodation in Gensac-la-Pallue, 28 km from Saintes. Free private parking is available on site. Rooms are fitted with a flat-screen TV with satellite channels. You will find a coffee machine in the room. Each room comes with a private bathroom fitted with a shower or a bathtub. Extras include free toiletries and a hairdryer. Evening meals can be served on site, upon reservation at least 4 hours in advance. A hot tub is available at an extra cost. Angoulême is 35 km from Le Grillage a Poules, while Cognac is 6 km from the property. La Menarderie in Archiac has barbecue facilities and a garden. Free WiFi is at guests' disposal. At the guest house, all rooms are equipped with a wardrobe. Each room is equipped with a private bathroom with a shower, free toiletries and a hair dryer. All rooms at La Menarderie come with a seating area. A continental breakfast is served each morning at the property. Saintes is 42 km from the accommodation, while Angoulême is 47 km from the property. The nearest airport is Mérignac Airport, 111 km from the property. Set in Saint-Preuil, Le Phaéton features accommodation with a terrace and free WiFi. This holiday home offers water sports facilities, a tennis court, as well as a fitness centre. The holiday home is fitted with 2 bedrooms and a fully fitted kitchen with a dishwasher. A TV is offered. The holiday home offers a barbecue. A garden and a children's playground are available at Le Phaeton Saint Preuil. Angoulême is 36 km from the accommodation, while Cognac is 23 km away. La Malle Poste is set in Saint-Preuil. Guests benefit from a terrace and a barbecue. With free WiFi, this holiday home provides a TV, a washing machine and a kitchen with dishwasher. The property has a fitness centre. The holiday home has a children's playground, along with a water sports facilities. Angoulême is 36 km from La Malle Poste, while Cognac is 23 km away. Le Coche is situated in Saint-Preuil and offers water sports facilities and a tennis court. The accommodation is 36 km from Angoulême. The holiday home includes 3 bedrooms and a kitchen with a dishwasher and an oven. A TV is featured. At the holiday home guests are welcome to take advantage of a fitness room. A barbecue and a children's playground are available for guests at Le Coche Saint Preuil to use. Cognac is 23 km from the accommodation, while Jonzac is 31 km from the property. Located in Archiac, La Poule Verte provides accommodation with an outdoor pool. Free WiFi is featured. There is a fully equipped private bathroom with shower and free toiletries. A continental or buffet breakfast can be enjoyed at the property. The bed and breakfast offers a terrace. Guests at La Poule Verte can enjoy cycling nearby, or make the most of the garden. Saintes is 43 km from the accommodation, while Angoulême is 48 km away. The nearest airport is Mérignac Airport, 109 km from La Poule Verte. Offering a seasonal outdoor pool, Au Coeur des Vignes is situated in Arthenac in the Poitou-Charentes Region, 42 km from Saintes. Free WiFi is offered throughout the property and free private parking is available on site. Cognac is 20 km from Au Coeur des Vignes, while Angoulême is 50 km from the property. The nearest airport is Mérignac Airport, 102 km from the property. Located in Criteuil-la-Magdeleine, Logis du paradis offers accommodation with free WiFi and access to a garden with an outdoor swimming pool. All units come with a seating area, a flat-screen TV and a private bathroom with free toiletries, bath and shower. A continental breakfast is available each morning at the property. The bed and breakfast offers a barbecue. Logis du paradis provides a terrace. Angoulême is 35 km from the accommodation. Mérignac Airport is 101 km away. Located in Touzac in the Poitou-Charentes region, gite du presbytere is a 3-star property featuring free WiFi. Guests staying at this holiday home have access to a fully equipped kitchen. This holiday home with garden views features parquet floors, 2 bedrooms and 2 bathrooms with a bidet, shower and a hair dryer. A TV is provided. Angoulême is 36 km from the holiday home. Located in Sainte-Lheurine, Villa Salena offers accommodation with a private pool, a landscaped garden and panoramic views. This property offers access to free WiFi. The holiday home has 5 bedrooms, a living room with a flat-screen TV, an equipped kitchen, and a bathroom with a hot tub. There is a bathroom and 2 shower rooms, as well as a fitness room, a piano and a home cinema. The holiday home offers a hot tub. Villa Salena features a barbecue and a garden. Saintes is 32 km from the accommodation. Mérignac Airport is 82 km away. Offering a seasonal outdoor pool, Logis de L'Arceau is set in Celles, 10 km from Cognac in the Poitou-Charentes Region. Free private parking is available on site. Some units include a seating area where you can relax. Rooms are fitted with a private bathroom equipped with a bath or shower. You can play table tennis at this bed and breakfast, and the area is popular for cycling. The bed and breakfast also offers bike hire. Royan is 49 km from Logis de L'Arceau, while Saintes is 23 km away. The nearest airport is La Rochelle - Ile de Re Airport, 87 km from the property. Le Fief des Chevaliers is situated in Ars and offers free bikes. The accommodation features free WiFi. The holiday home comes with 2 bedrooms and a fully fitted kitchenette with a dishwasher. The holiday home offers an outdoor pool. This property provides a barbecue. Saintes is 28 km from Le Fief des Chevaliers. The nearest airport is La Rochelle - Ile de Re Airport, 109 km from the property. 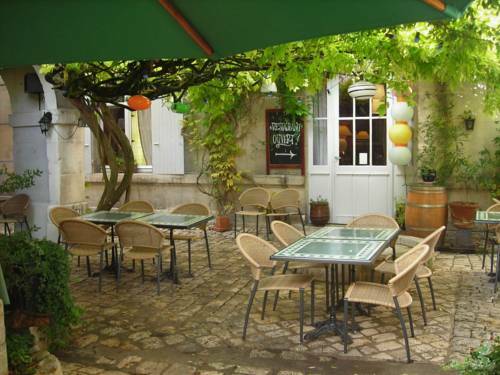 Located in Ars, Le Fief des Chevaliers provides accommodation with access to a garden. Complimentary WiFi is featured. A continental breakfast is served every morning at the property. The bed and breakfast offers an outdoor pool. Guests can also relax on the sun terrace. Saintes is 28 km from Le Fief des Chevaliers. The nearest airport is La Rochelle - Ile de Re Airport, 109 km from the accommodation. Hotel Jarnac-Champagne Preferred hotel ! Set in the small village of Jarnac-Champagne, this hotel offers free Wi-Fi access and rooms with views of the church. It is 20 km from Cognac and 15 km from the medieval town of Pons. The rooms at Hôtel le Relais are decorated in a simple style and have a flat-screen TV. They also include free Wi-Fi access, a wardrobe and a private bathroom. Fresh pastries from the village bakery are featured on the hotel’s continental breakfast. It can be enjoyed on the terrace, in the dining room or in the comfort of guest rooms. 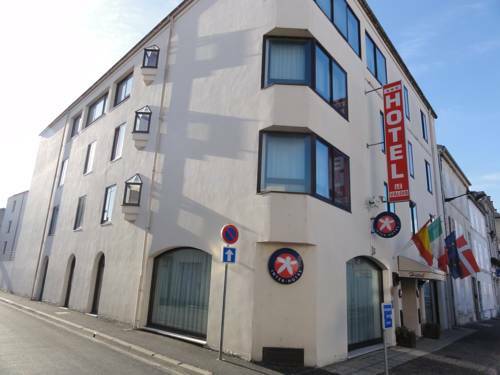 With free public parking on site, the hotel is ideally located 17 km from the A10 motorway. There is also a restaurant across the road, which serves pizza and dishes made from local produce. L'Oliveraie is located a 1-minute drive from the city centre of Cognac. It offers free private parking, free Wi-Fi access and an outdoor swimming pool. Each soundproofed guest room at the Oliveraie has a private bathroom and satellite TV. Some rooms are also equipped with air conditioning. Breakfast is served daily and guests can enjoy traditional cuisine in the Oliveraie’s restaurant. There is also a bar and a garden with a private terrace. L'Oliveraie is situated approximately 64 km from Royan, and Angouleme is a 45-minute drive away. Set in Cognac, Château Pellisson features accommodation with an outdoor pool, free WiFi, a garden and a terrace. All units feature air conditioning and a flat-screen TV. A fridge and coffee machine are also featured. Guests at the bed and breakfast can enjoy a continental breakfast. Château Pellisson offers a range of wellness facilities including a hot tub and a sauna. Guests can also relax in the shared lounge area. Saintes is 28 km from the accommodation. La Rochelle - Ile de Re Airport is 109 km away. Situated in Cognac in the Poitou-Charentes region, Alain et Nicole has a garden. The bed and breakfast, set in a building dating from 1900, provides free WiFi. This bed and breakfast comes with a kitchenette, a seating area, a dining area and a satellite flat-screen TV. Saintes is 29 km from the bed and breakfast, while Angoulême is 43 km from the property. The nearest airport is La Rochelle - Ile de Re Airport, 110 km from Alain et Nicole. Chambre Chez Anthony et François offers accommodation in a private house in Cognac. Every room comes with a flat-screen TV. The rooms include a private bathroom. The toilet is on the ground floor and is shared with the owners. Chambre Chez Anthony et François features free WiFi throughout the property. Bed linen and towels are provided. A continental breakfast is served every morning. There is a shared kitchen at the property. Saintes is 24 km from Chambre Chez Anthony et François, while Angoulême is 39 km from the property. The nearest airport is La Rochelle - Ile de Re Airport, 86 km from the property. Anthony & François provides accommodation in Cognac. All rooms feature a kitchen and a private bathroom. Free WiFi is available. All units in the guest house are equipped with a coffee machine. The rooms will provide guests with an oven. A continental breakfast is available every morning at Anthony & François. Saintes is 27 km from the accommodation, while Angoulême is 45 km away. The nearest airport is La Rochelle - Ile de Re Airport, 109 km from the property. Chambres d'Hôtes Les Tilleuls is situated in Cognac, just a 10-minute walk from the train station. It offers modern accommodation with free Wi-Fi, and has a terrace and garden with outdoor furniture. Whether you choose to stay in a room or suite, you enjoy your own private lounge with library. They are equipped with a high-definition flat-screen TV and a DVD player. Extras include views of the garden or the rooftops of Cognac town. A continental breakfast, including homemade jams and organic yoghourt, is served each morning at the dining room. Dining options including regional restaurants and typical brasseries can be found within a 10-minute walk of the property. Organized tours to the area’s most prestigious distilleries and vineyards, as well as Foie Gras workshops can be organized upon request. Saintes is a 30-minute drive from the property and Bordeaux can be reached after a 1.5-hour’s train ride. There is free parking on site. La Résidence is situated near the historical centre of Cognac and the wine tasting houses. It is built from traditional local stone and offers comfortable, modern accommodation. Guest rooms at Hôtel La Résidence are decorated in a simple style and are equipped with a private bathroom. Every morning a breakfast buffet is served in the bright breakfast lounge. Wine tours can be organised from the hotel. Private parking is possible at a nearby location and free Wi-Fi is available throughout the hotel. Hotel Cognac Preferred hotel ! Located in the centre of Cognac a 15-minute walk from the train station, Citotel Hotel Cheval Blanc offers air conditioned rooms with free WiFi access and a patio. All rooms at Citotel Hotel Cheval Blanc include a flat-screen TV and a small bathroom with a shower and private toilet. A continental breakfast consisting of local produce is served daily. Guests will find bars and restaurants in the surroundings. Within a 5-minute walk, guests can find several Cognac houses where tasting can be enjoyed. Upon prior reservation, private parking is available at an extra cost. Conveniently located in the centre of Cognac, Hotel The Originals Cognac Le Valois offers modern and comfortable rooms with free WiFi access and provides private parking. Guests at the Hotel The Originals Cognac Le Valois can enjoy a range of leisure facilities. There is an 18-hole golf course and a tennis court nearby. The hotel has a partnership with a neighbouring restaurant allowing business travellers to benefit from a stopover deal. The friendly and attentive staff at Hotel The Originals Cognac Le Valois will be happy to help you organise your stay in Cognac 24 hours a day. ibis Cognac is located in Cognac and a number of restaurants, cafes and shops can be found nearby. Guests have access to free WiFi throughout the property. All rooms include a desk and a flat-screen TV. The private bathrooms come with a shower and a hairdryer. A buffet breakfast composed of sweet and savoury dishes such as eggs, fruit salad, yogurts and juices is served every day. Pastries baked on site and fresh French Madeleine cakes are also on offer, as well as a hot beverage and a piece of fruit to take away. Outside of regular breakfast hours guests can also enjoy a lighter option, available from 04:00. For guests who enjoy golf, the Congnac Golf Course is a 16-minute drive from the Hotel. If you wish to explore the surrounding then the Cognac Art Museum is just a 10-minute walk from the ibis Cognac. La Rochelle - Ile de Re Airport is 109 km from the property and Cognac Train Station is 800 metres away. Located in Cognac, 1.1 km from Cognac Train Station, this hotel is housed in an elegant 19th-century building and offers an indoor swimming pool. A wellness centre with a hammam is available at the hotel. The air-conditioned guest rooms are equipped with a flat-screen TV, minibar and free Wi-Fi internet access. Each room provides tea and coffee making facilities and an en suite bathroom with complimentary toiletries. Guests can choose between a buffet breakfast in the breakfast room or a continental breakfast in the comfort of their room. In the evening, guests are invited to relax with a drink or cocktail in the hotel’s stylish bar. Massage treatments are available in the spa centre upon request. Additional facilities available at the hotel include a private parking, provided for an additional supplement. Hotel Heritage is located in the centre of Cognac and welcomes you in a 17th-century inn renovated in a modern style. Hotel Heritage features comfortable rooms decorated with bright colours. The hotel offers various styles to choose from. Each room offers flat-screen TV and free Wifi access. Heritage Hotel offers a restaurant serving specialties prepared with local produce. The hotel also features a bar with a terrace. The hotel has central location in the heart of Cognac, a stone’s throw from the historic district, the shopping streets and the Hennessy cognac house. Guest accommodation Cognac Preferred hotel ! Résidence BEAULIEU is set in Cognac and offers free bikes. The holiday home has city views and is 28 km from Saintes. The 2-bedroom holiday home is equipped with a kitchen with a dishwasher and 1 bathroom with a bath. A flat-screen TV is provided. The holiday home offers a children's playground. Fishing and hiking can be enjoyed nearby, and a bicycle rental service is available. Angoulême is 43 km from Résidence BEAULIEU, while Jonzac is 34 km away. The nearest airport is La Rochelle - Ile de Re Airport, 110 km from the accommodation. Below here is the hotels map of Juillac-le-Coq. Names and details of Juillac-le-Coq hotels can be shown on the map clicking on the prices icons.